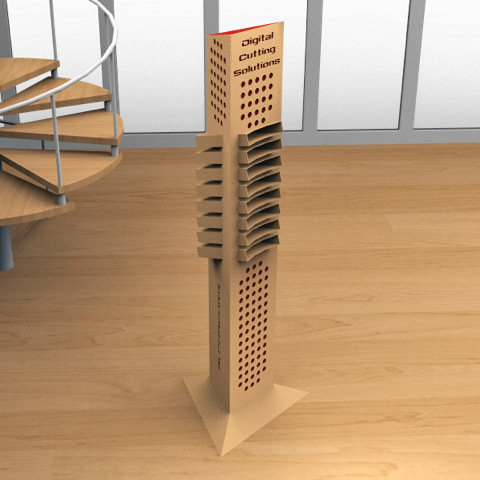 Intuitive 3D motion simulation, scene building and animation for packaging and display design. Ashlar-Vellum Kinetics offers easily configured tools for precision motion simulation, animation, scene building and sharing for design and assembly of packaging and point-of-purchase displays. Available on both Mac and Windows, Kinetic allows designs to be shared with technical and non-technical users to optimize product and assembly performance, reduce the number of physical prototype needed, and to aid in the creation of interactive assembly instructions. 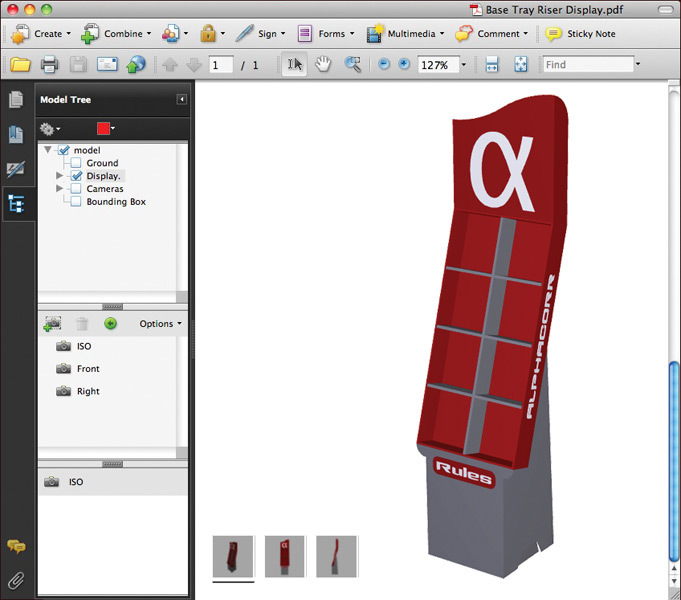 Kinetics users include point-of-purchase display and packaging designers, 3D artists and modelers, and others. Kinetics offers precision motion simulation tools for analysis and presentation. Kinetics supports importing 3D models from many of the standard file formats, including: STEP, IGES, STL and DXF (Ashlar-Vellum Xenon™ exports all of these) or 3D PDF (AlphaCorr Dieline Genius and Folding Genius export this). 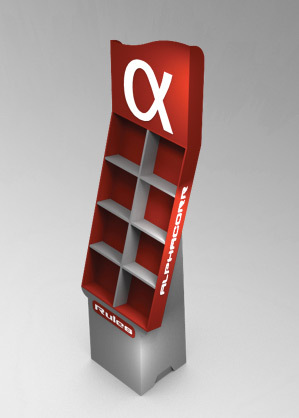 the assembly structure of packaging and point-of-purchase displays. Kinetics provides all the needed tools to build 3D scenes from existing packaging and display models. In addition to the Object Move tools found in modern 3D applications to place models in the scene, Kinetics offers unique tools like Snap-to-Object and Snap-to-Ground to make building 3D scenes intuitive and fast. Kinetics maintains the assembly structure of imported 3D models, allowing you to select the face, body, part, subassembly or assembly on which to work. Kinetics also enables the addition of 3D text to any scene. 3D scenes created in Kinetics are exported as 3D PDF files that are easily opened using Acrobat Reader (available free from Adobe) by non-technical users, allowing them to view, rotate, and interact with the 3D scene. in Adobe Acrobat for easy viewing. Kinetics includes a high quality, accurate and extremely fast global illumination renderer, which quickly creates high quality photorealistic images. Assigning materials is by dragging them from the included materials library and dropping them on the 3D objects. Create high quality photorealistic renderings. Kinetics creates different types of lights to achieve high quality rendered images. Kinetics easily creates animations showing the assembly of a packing kit or a walkthrough past a point-of-purchase display. Animations created in Kinetics can be rendered and used to create movies that are posted on the web and shared with others. Parts, subassemblies and assemblies can interact with each other based on physical properties and joints. Create 3D motion or walkthrough animations. 3D models and scenes are exported to the following files formats: OBJ, FBX, Collada, STL, U3D, BIP, DirectX and OSG. Animations created in Kinetics can be used to create animated 3D PDF files which include the motion of objects and cameras. 3D scenes created in Kinetics can be exported to iPad as SimLab archive files (*.zim). which are opened in the SimLab CAD Viewer.